Sunday, March 16th, 2014 saw the proclamation of the former guerrilla leader and elementary school teacher, Salvador Sanchez Cerén, the newly elected president of El Salvador. Cerén is the third left-leaning president to come into office in the history of El Salvador, and the second of the left-leaning Farabundo Martí National Liberation Front (FMLN) party to succeed in becoming president of the evenly split Salvadoran population. The other half of the population leans to the right, where conservative party Nationalist Republican Alliance (ARENA) is the main contender. 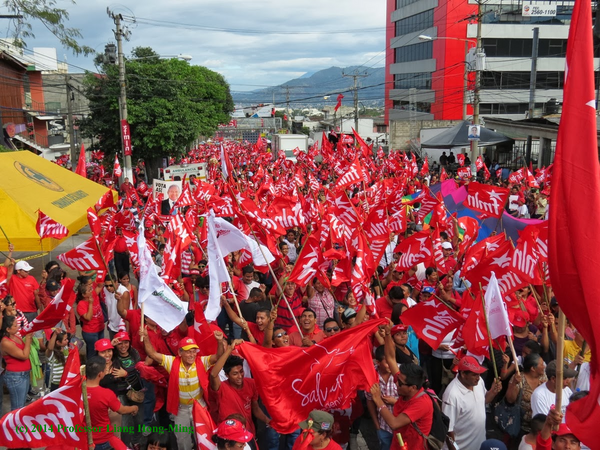 In both the first and second round of elections, FMLN managed to stay atop their rival. Despite the slight advantage, the second round of the presidential race was incredibly tight, and FMLN barely managed to come out victorious with merely 50.11% of the votes in their favor, adding to the tension among the already deeply divided public. When trying to understand the economic and political implications that this win signifies, three important dates should come to mind: 1932, 1992, and 2009. Farabundo Martí, a revolutionary leader during the uprising against the high levels of unemployment and wealth disparity of the 1930s, became the martyr of the Salvadoran Left and the figure FMLN would later invoke in their party name. The 1932 Indigenous Massacre, wherein thousands of indigenous peasants were murdered for joining the rebellion, obliterated the Salvadoran indigenous population and also led to the assassination of the movement’s leader. Two years after Martí founded the Communist Party of El Salvador, he was shot under the orders of Maximiliano Hernández Martínez, the extreme Right president who had come to office by military coup only a year prior. The primary left-wing Salvadoran party, FMLN, came into existence on the cusp of the Salvadoran Civil War of the 1980s. The origins of this violent collision go back to the founding years of the Salvadoran Republic when public and communal land were abolished, which led to the appropriation of land by those who would later become the wealthy elite. The same feeling that rose during the peasant revolt of the 1930s resurfaced as militant repressive governments helped stir the already exasperated Salvadoran majority to unify as the breach between the wealthy and the poor continued to increase. The global political environment at the time, with the power struggle between the Western hemisphere and the communist Eastern bloc, created the perfect scenario for a class struggle to arise. During the war, five guerrilla organizations came together to form the political entity FMLN after having ideologically and physically defied the National Guard and the far-right/Salvadoran army military alliance. A truth commission sponsored by the United Nations estimated that up to 75,000 died during the bloody period of civil war. According to the commission, the US-backed Salvadoran military, who held power at the time, were responsible for more than 85% of the human rights violations inflicted on the population. January 16, 1992 brought the signing of the peace accords between rebel guerrilla leaders and Salvadoran officials. FMLN solidified as a party and the newly established ARENA, the right-wing anti-communist party that gained momentum through their counter insurgency and anti-leftist reputation, came to office in 1989. With ARENA’s coming into power, Salvadoran history experienced a dramatic transformation. The increased GDP that occurred throughout the 20 years that ARENA remained in power and the surge of foreign investment, monetary integration of the dollar that occurred during the 1999-2004 administration, and high levels of inflation that occurred thereafter only brought general discontent to middle and lower classes as wages remained static and prices rose. Free trade agreements between fellow Latin American countries and the United States were also received with mixed feelings as certain unions and associations believed they would solely benefit an elite few and would not stimulate a socially conscious and economically sustainable environment. Along with recession, 2009 also brought governmental change to the smallest, most densely populated country in Central America. After four consecutive terms and twenty years in power, the conservative right-wing party ARENA lost to Mauricio Funes, the outspoken TV journalist and candidate of left-leaning FMLN. Once again, Salvadoran politics saw themselves severely affected by the global sociopolitical environment of the time. Despite the ideological and economic communist threat that was associated with FMLN and feared by the right, after the newly elected party took office the dollar has remained the main currency of El Salvador, conservative economic policies have been respected, and globalization has been embraced. Taking into consideration the country’s high levels of inequality, it was not surprising that the scenario for the political success of a leftist agenda was developed. The governmental transition occurred despite the fact that 49% of the population had not voted for Mauricio Funes. The 2014 presidential campaign was no different than those of 20 years ago. The results were also received with uncertainty. Though it was declared legitimate by international spectators, organizations, and the US State department, Norman Quijano, ARENA’s candidate for this past election, called for protests as his party believed electoral fraud had taken place. Old resentment and fear tactics were once again used by both camps to further their political agendas. 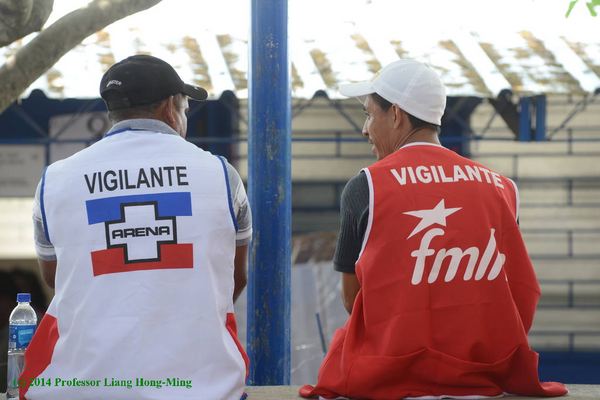 While ARENA’s past leaders were being accused and tried for corruption and malinvestment, FMLN was being targeted by the opposition for trying to emulate Venezuela. The accusations made against FMLN were one of the factors that favored ARENA, earning them extra votes in the second round of elections as the current situation in the South American country intensifies. 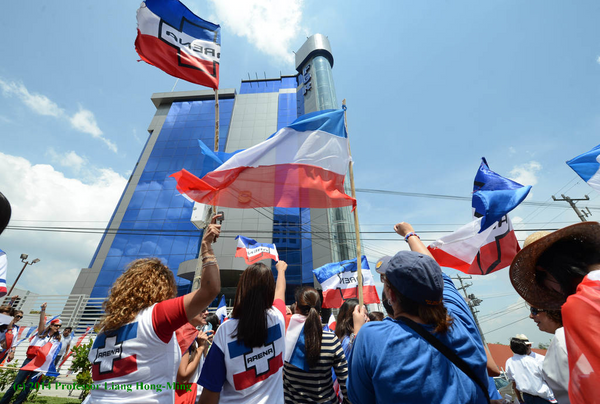 Time will only tell how polarization will evolve in El Salvador, but as far as the current socioeconomic reality of the country is concerned, violence, extortion, high levels of unemployment, and poverty remain at their peak. The United Nations Office on Drugs and Crime estimate that in 2012 alone, El Salvador had the second highest per capita murder rate in the world at 69 per 100,000. While disproportion of wealth remains ever constant, the main presidential contenders are uneducated in politics, economics, and foreign affairs, and 70% of the population did not vote for the newly elected president, apathy and distrust towards the major political parties and their representatives have grown, especially after years of failed reforms and continued social unrest. El Salvador’s restricted economic past continues to haunt it as the social and political situation of the country impede it from properly exploiting other potential means of industry. Given the reaction of the population, one can only hope that new parties are able to successfully emerge, and that current ones will adapt and reformulate their ideologies and modus operandi to not only relate with the general Salvadoran public, but to appease it. The Middle Ground Journal will share brief dispatches from our North Star Project student interns, particularly from those who are currently stationed, or will soon be stationed abroad. Student interns have reported from Mongolia, Southern China, Shanghai, northeastern China, The Netherlands, Tanzania, Ireland, England, Finland, Russia, and Haiti. We also have students developing presentations on theatrical representations of historical trauma, historical memory, the price individuals pay during tragic global conflicts, and different perceptions of current events from around the world. We will post their dispatches here, and report on their interactions with the North Star Project students and teachers. (c) 2013-present The Middle Ground Journal. See Submission Guidelines page for the journal’s not-for-profit educational open-access policy.